Something is very wrong for Leopold Bloom, worldwide phenomenon and hero of Ulysses. Visitations from the future, ghosts from the past and the burning question ‘Who am I and where do I belong?!’. The only clues lie in his one day of literary life – 16th June 1904 – written for him by Joyce. As the storm clouds of history gather, Bloom escapes the confines of his book to embark on a new odyssey of remembering and forgetting. Bounding back and forth through time, he attempts to discover his true identity through his Jewish roots. Instead, he falls into the decimated heart of Europe to find an altogether more terrifying story waiting for him. 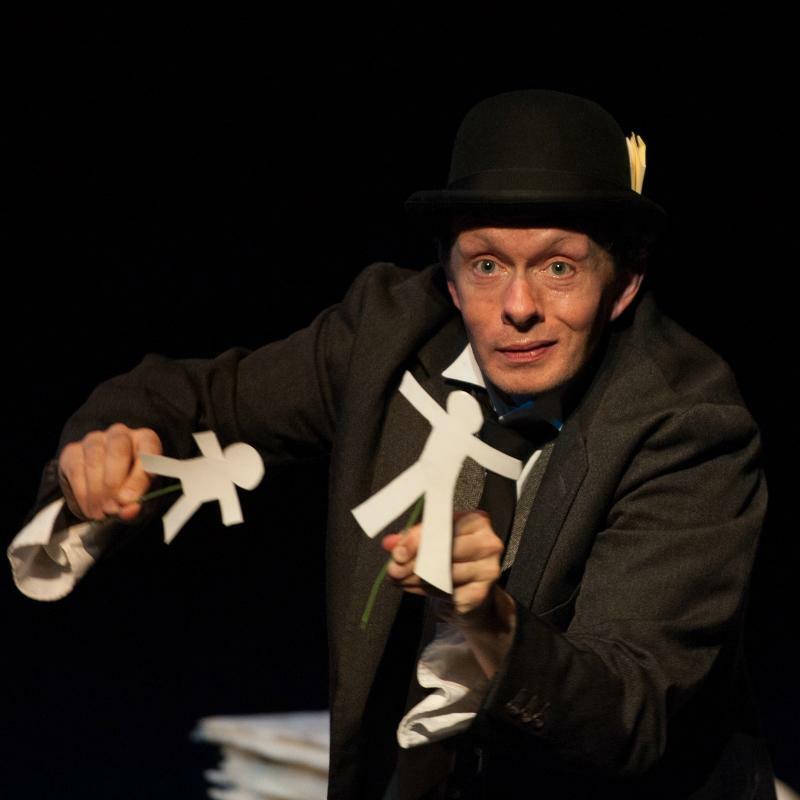 Patrick Morris delivers a Herculean performance as Bloom in this tour-de-force which mixes clownish antics with high drama, rich stories and powerful imagery.